The desert landscape, mountains and red rock canyons make for a stunning backdrop for the Phoenix/Scottsdale/Valley of the Sun area. Sedona is so dramatic that Native Americans consider it a sacred place. You can genuinely feel the spiritual energy. At 277 miles long, the Grand Canyon is the granddaddy of all red rock formations. The unique desert geography has created a close connection between the land and the people and also plays a part in the region's distinct lifestyle, much of it with an outdoor focus. Welcome to the Valley of the Sun. 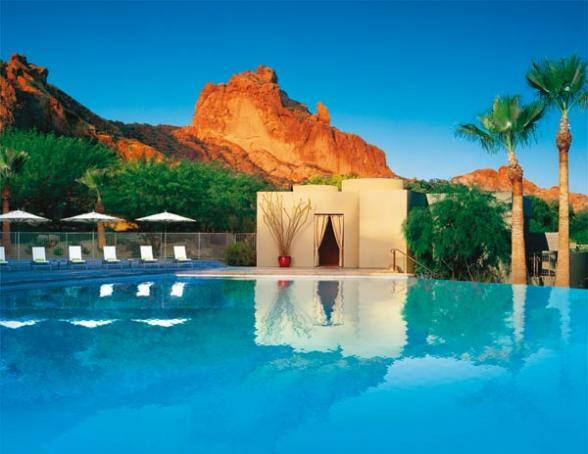 Scottsdale has long been considered THE holiday resort spot of the region. The hotels truly are some of the best in the USA and there's an ideal place for everyone whether you are travelling as a family or couple. Get your bearings in Arizona's capital city - Phoenix - with a half day tour with Detours Arizona. This area has grown rapidly and offers a tremendous diversity of culture, heritage and of course, scenery on tap. 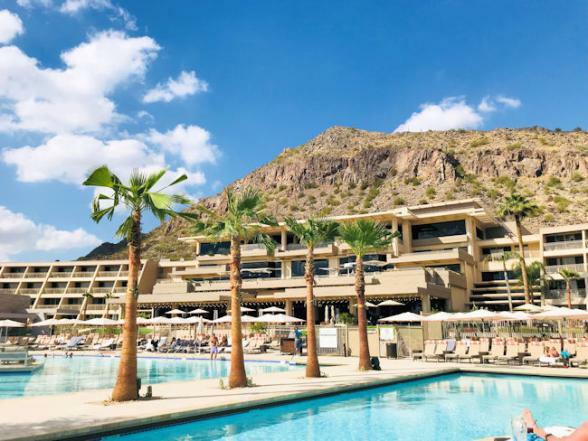 The tour will take you to South Mountain Park, Camelback Mountain, Old Town Scottsdale, State Capitol building, the Paradise Valley area and the central core of Phoenix. The rest of the day is yours to explore. Hit one of the many mountain hiking trails, enjoy a spot of retail therapy or grab your book and head for the pool. Native American, Spanish, Mexican and Anglo-American cultures are all celebrated and incorporated into the diverse fabric of Tucson. 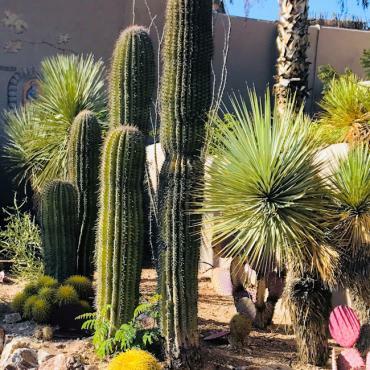 By the time America’s Founding Father’s were getting ready to declare independence from the King in 1776, Tucson was home to Spanish settlers following in the footsteps of Coronado who arrived in 1540 looking for the Seven Cities of Gold. Soon all were Mexican citizens until Tucson became a part of the United States in 1854. 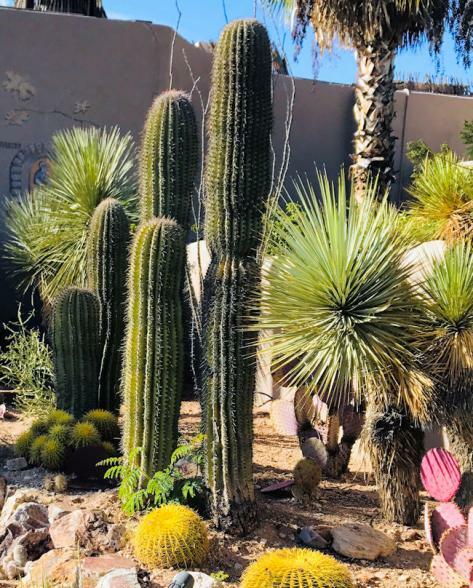 Tucson is large enough to have everything you want, but small enough to embrace. The Sonoran Desert landscape may be greener than you anticipate, yet areas of desert, punctuated with Saguaro, surround the city. The Arizona state symbol stands proudly in a cactus forest in Saguaro National Park. A drive up the Sky Island Scenic Byway takes you through an even larger forest of Saguaros on your way to Mt. Lemmon’s pine treetops. Throughout the Tucson region, dark mountains and bouldered landscapes surround remnants of the Old West intertwined with the New West. Tombstone and Bisbee hark back to the legends of wild west while the boulders of Texas Canyon appear to have crashed down from the moon. Kitt Peak and the Pima Air Museum feature the cutting edge technology that has allowed man to explore the heavens and beyond. Enjoy it all, Tucson will surprise you. The Presidio Trail, a historical walking tour of downtown Tucson meanders through the oldest part of the city. Nearby, the Tucson Museum of Art has preserved five historic homes, all classic Sonoran houses that were built in the 1860s. Each has period rooms depicting frontier Tucson. Unique architecture also defines the Telles Block which is filled with Old Town Artisans in row houses surrounding an interior courtyard. You can stop for a sip before touring the shops. On the other side of Congress Street, the St. Augustine Cathedral has a magnificent sandstone façade. Thirty-two structures in all line the trail. They all tell part of the story. 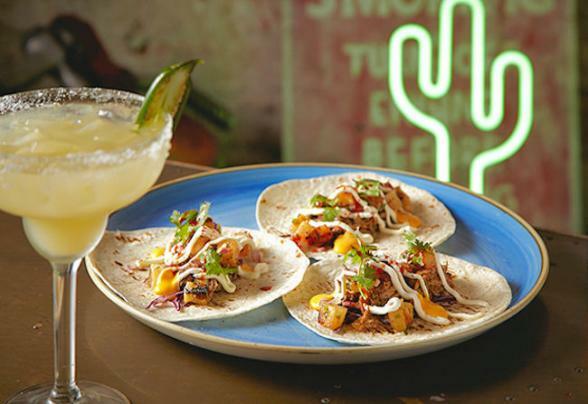 Before leaving downtown, be sure to have lunch at El Charro. Established in 1922, El Charro Cafe is the oldest Mexican restaurant in continuous operation in the United States. 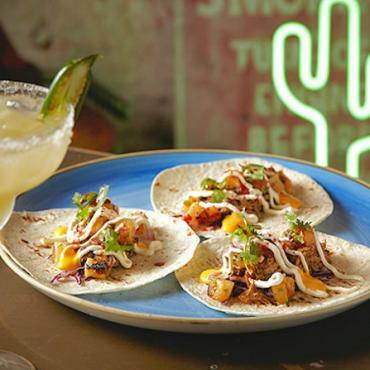 Gourmet Magazine called it a true taste explosion. A visit to the Arizona State Museum will be a great way to learn more of the story of the entire region. The Museum itself is authentic, having been established by the Arizona Territorial Legislature in 1893. The world’s largest collection of whole-vessel Southwest Indian pottery is complemented by 150,000 archaeological artifacts. Alongside, one of the nation’s top Navajo textile collections includes some of the earliest and most rare examples of this type of weaving in existence. For the best of cactus forests, take the Sky Island National Scenic Byway up to the top of Mount Lemmon. 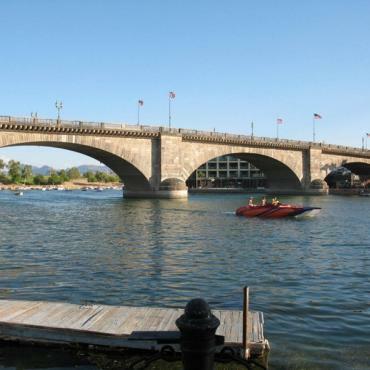 Lake Havasu was made dramatically more interesting when London Bridge was moved from London to the lake. The bridge, the only thread across the River Thames for nearly four centuries, witnessed phenomenal history over the years. The head of William Wallace was the first to appear on a post on the bridge in 1305. It took until 1967 for the entire bridge, which by then had been replaced in portions several times, to be declared superfluous and put on the market. The London Bridge Historical Ghost Walk reveals the ghosts, the bones and the people of London Bridge. Today, Lake Havasu is much more than its famous landmark. 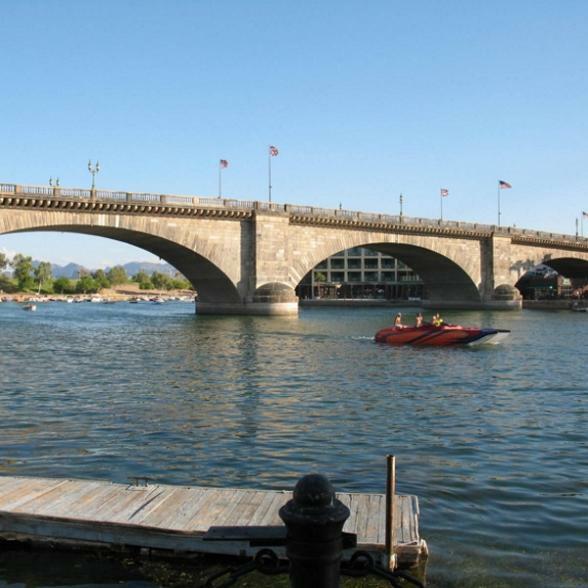 With more than 300 days of sunshine per year, Lake Havasu is ideal for water sports, golf, tennis and desert tours. A bit more than 400 miles of stunning coastline delivers exceptional water skiing, kayaking, fishing, and house boating. The lake can also be explored from its beautiful beaches and hiking trails along its perimeter. The Havasu National Wildlife Refuge protects 30 river miles and 300 miles of shoreline, along the Colorado River from Needles, California, to Lake Havasu City, Arizona. Here you can see bighorn sheep, reptiles, and endangered bird species. 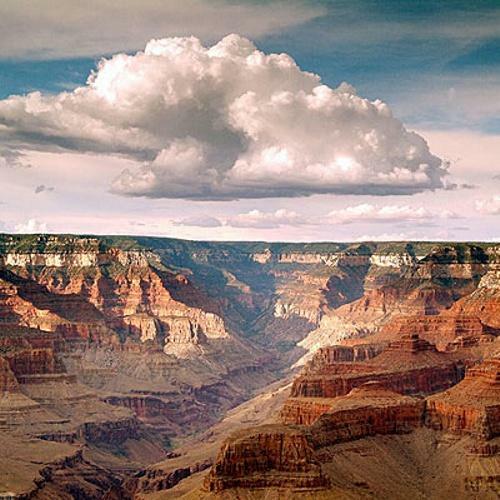 The Grand Canyon, a World Heritage Site that encompasses over 1.2 million acres, is a geologic wonder. The immense Canyon averages 4,000 feet deep over its entire 277 miles. It is 6,000 feet deep at its deepest point, and 15 miles wide at its widest. The Canyon is a mosaic of five of the seven life zones found in all of North America and three of the four desert types found on the continent. In its walls is a record of three of the four eras of geological time, along with a rich variety of fossils. To the delight of visitors, the Canyon serves as an ecological refuge for more than 1,500 plant, 355 bird, 89 mammal, 47 reptile, 9 amphibian and 17 fish species. 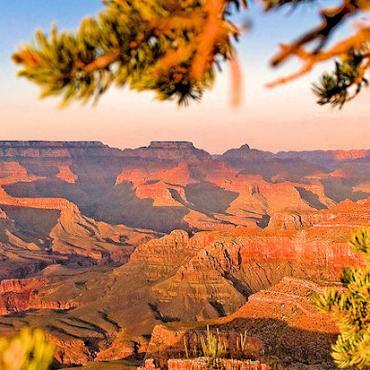 We encourage you to take advantage of the free shuttle buses that operate throughout the South Rim; they ease congestion and impact on the park and make your visit hassle-free. You can pick up the shuttle at Grand Canyon Village and get off at the South Rim Visitor Center at Canyon View Information Plaza to begin your visit. 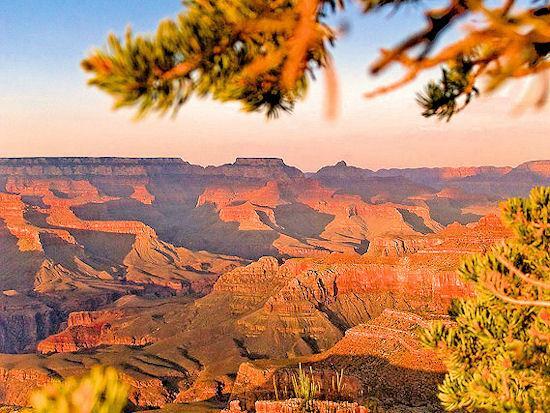 From there, the canyon rim is only a short stroll away. The eight-mile round-trip on Hermit Road takes you to views of the Colorado River at Hopi, Mohave and Pima Points, as well as to Hermits Rest, a historic landmark with a great view of the river. Desert View Drive, a scenic 25 mile one-way self-drive, delivers sensational views of the Canyon and the Colorado River at Moran Point, Lipan Point, and Desert View. In addition to the historic Yavapai Observation Station, with its exceptional views, visitor centers on the South Rim include the Desert View Information Center and the Tusayan Museum on Desert View Drive. A visit to the museum provides a glimpse of Pueblo Indian life near the Grand Canyon some 800 years ago. The Kolb Studio, spectacularly located in the Grand Canyon Village Historic District, was the home of the pioneering Kolb brothers who first photographed the Canyon. 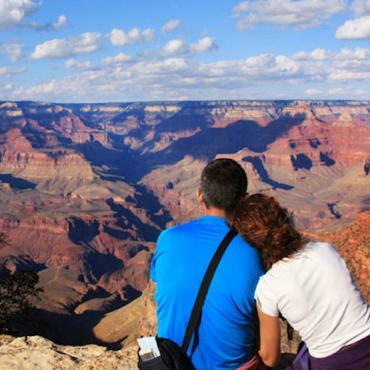 While you are enjoying the beauty of the Grand Canyon, you can also enhance your visit with details about its geology, history and natural environment. 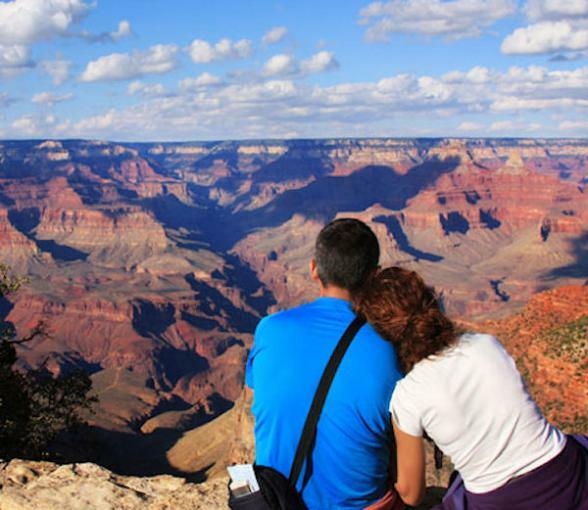 It’s best to begin with the South Rim Visitor Center and Canyon View information Center. Outdoor exhibits provide good information about the park and what to do when you arrive. Other visitor centers accessible from the South Rim include the Yavapai Observation Station, with spectacular views of the Grand Canyon, the Desert View Information Center, and the Tusayan Museum, on Desert View Drive. 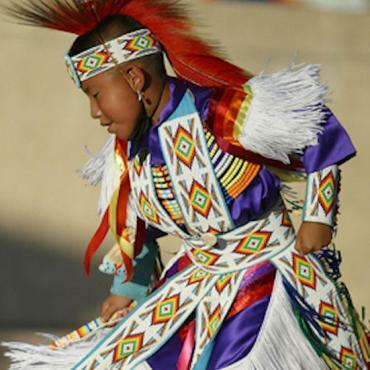 A visit to the museum provides a glimpse of Pueblo Indian life near the Grand Canyon some 800 years ago. The Kolb Studio, located in the Grand Canyon Village Historic District, was the home of the pioneering Kolb brothers who first photographed the Canyon. Verkamp’s Visitor Center has been recently established in another of the canyon’s historic buildings to illustrate the experiences of the people who pioneered settlement in the region and what it was like to work and live on the brink of one of the seven natural wonders of the world. Consider also, a 30-minute flight that takes you over the South Rim and the North Rim of the Canyon to enjoy the spectacular views. The Park Service has also recently established 2 minute audio tours available from your cell phone a various points of interest on the South Rim. There are times when things created out of necessity become things of great beauty. Lake Powell is one of those instances where water rushing off the desert had to be stopped to prevent flooding. The result is a beautiful 186-mile long lake with 1,960 miles of shoreline — longer than the entire west coast of the continental United States! You will, of course, want to get out on the lake. There are 96 major canyons, most of which can only be reached by boat. 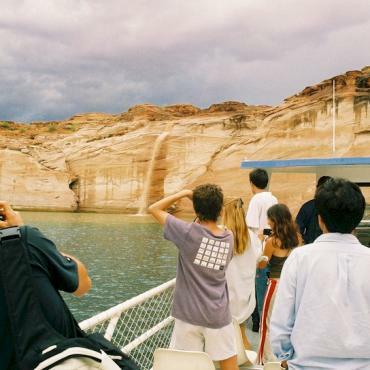 Boats can be rented in Page and at each of the four marinas on Lake Powell. Or you can select from one of many tour boat cruises that range from one hour up to seven hours. You can experience 15 miles of one of the most dramatic stretches of river in the Western United States on a smooth water float trip on the Colorado River. Departing from Page, you’ll travel through the Glen Canyon Dam access tunnel and board a pontoon raft for the down stream journey. You’ll soon find yourself immersed in soaring sandstone cliffs surrounded by crystal blue-green water and lots of wildlife. Stretch your legs viewing ancient petroglyphs. 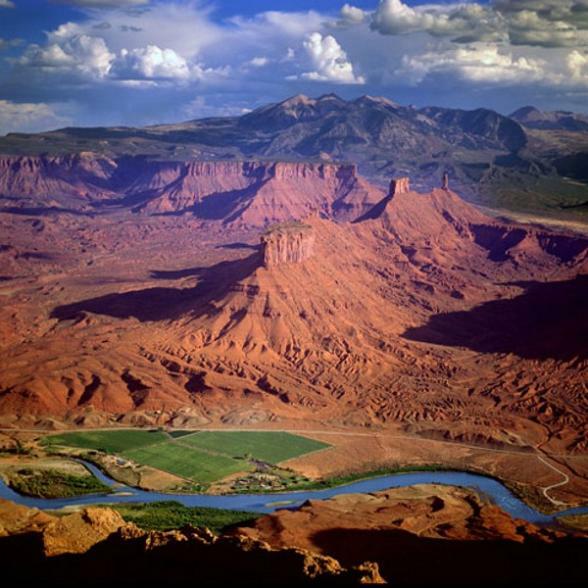 Recreation opportunities are also available in the Glen Canyon Recreation area which stretches for hundreds of miles from Lees Ferry, Arizona to the Orange Cliffs of southern Utah, encompassing scenic vistas, geologic wonders, and a vast panorama of human history. 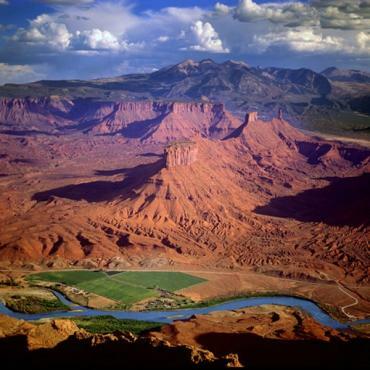 It was established to protect the Colorado Plateau, a vast landscape of colourful buttes, mesas, canyons, and cliffs. Plantsand wildlife have developed unique adaptations to the hot, arid conditions of their environment, contributing to the rich diversity of life in the area. 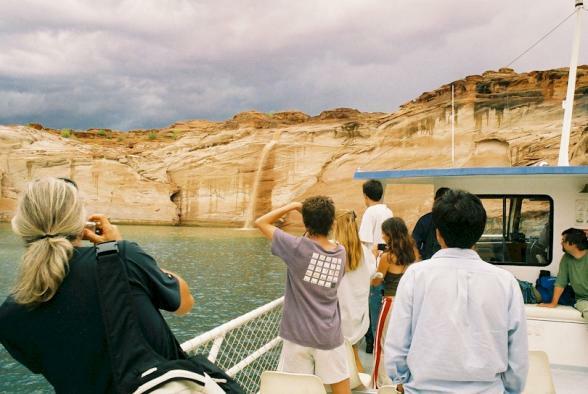 If you do not get onto Lake Powell by boat, go to Antelope Point Marina, Glen Canyon National Recreation Area for a lovely meal on the world’s largest floating restaurant, Ja'di' Tooh. Monument Valley, which straddles both Utah and Arizona, provides perhaps the most enduring and definitive images of the American West. The isolated red mesas and buttes surrounded by empty, sandy desert have been filmed and photographed countless times over the years for movies, adverts and holiday brochures. Because of this, the area may seem quite familiar, even on a first visit, but it is soon evident that the natural colours really are as bright and deep as those in all the pictures. The valley is not a valley in the conventional sense, but rather a wide flat, sometimes desolate landscape, interrupted by the crumbling formations rising hundreds of feet into the air, the last remnants of the sandstone layers that once covered the entire region. Sun up and sun down is an incredible time to be in Monument Valley. During your stay here we thoroughly recommend a guided jeep tour of the valley. 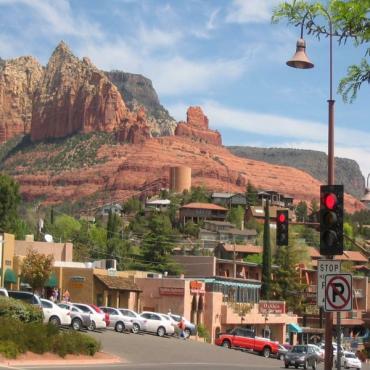 Many say they can feel special spirits in Sedona, others say it’s just the pristine beauty of red rock country here that makes it such a special place. As one would imagine in such a vaunted location, the roots of Sedona date back to a deserted garden and healing spring used by Native Americans for millennia before Europeans arrived. The town’s contemporary roots are much younger. The rugged outposts of Oak Creek Canyon were not claimed until 1876, the same year as Custer’s Last Stand in Montana. It was a Mr. Thompson who discovered the deserted Indian garden and healing spring, but the James family, the next to arrive in the little settlement, who decided that Indian Gardens would be attractive to tourists and began giving place names to the spectacular red rock formations. If you’re up to it, you can climb Bell Rock. Exploring Red Rock State Park will let you get up close and personal with the stunning rock formations on five miles of trails. 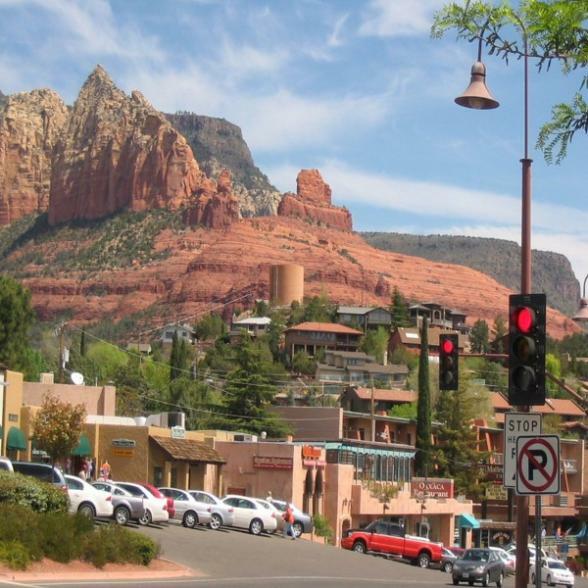 The best way to get acquainted with Sedona is on the Sedona Trolley. A 55-minute tour takes you past all the best places in town, including the famous Chapel of the Holy Cross, a church dedicated to art set picturesquely among the spires and pinnacles sculpted by nature on Little Horse Park Rock. The view is astounding and the chapel, a serene respite from the hustle and bustle of life. A second 55-minute Seven Canyons Tour takes in a scenic route west of Sedona, where you’ll be introduced to red rock country. It may be hard to pull yourself away from your red rock surrounded accommodations, but we highly recommend getting out and about to explore. Slide Rock State Park, the 1907 homestead of the Pendley family, has a unique irrigation system still used in the park today, which enabled the planting of orchards and ultimately the development of Sedona. 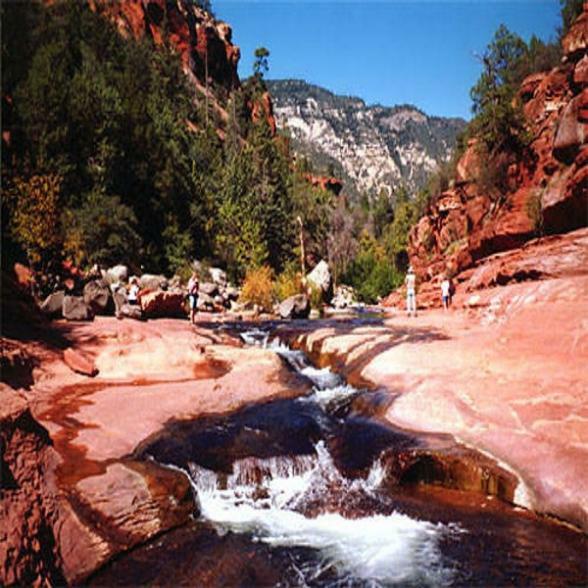 The park itself is named after Slide Rock, a stretch of slippery creek bottom where you can slide down a natural water chute or wade along the creek. Verde Canyon Railroad and Verde Canyon, known as Arizona’s other Grand Canyon, west of Sedona, should not be missed. Nesting bald eagles dot the journey, which passes by a series of cliff dwellings shaped by the Sinagua Indians in the 12th century. Don’t be surprised to see deer or javalinas drinking at the edge of the Verde River as the train passes. After travelling through a 680 -foot tunnel with red rock cliffs at the end, the trip ends at the still working Perkins ranch, where the engine switches from one end to the other for the return journey. You’ll not forget the stunning beauty of the canyon on this 4-1/2 hour trip. You can also get out into Red Rock country with Pink Jeep Tours’ Ultimate 4x4 Jeep Experience, which gets you get over and on the red rocks surrounded by magnificent canyon walls. Savour the views of Chicken Point and Submarine Rock and the thrilling Road of No Return. 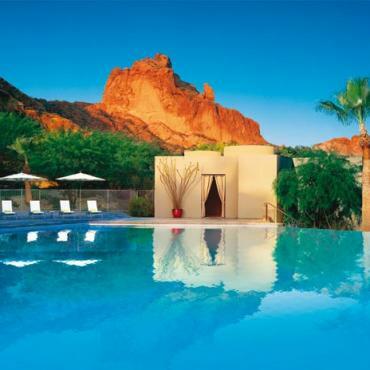 Returning to Phoenix for your flight home, we are confident you are returning with memories to last a lifetime. 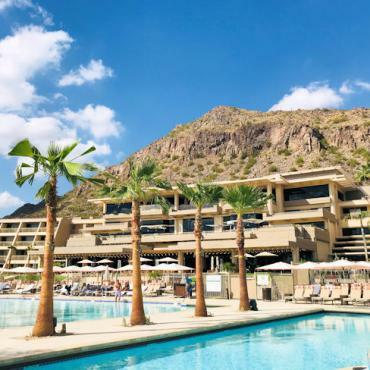 However, your adventure doesn't have to end here, perhaps you may want to extend your stay and spend a few days relaxing at a Scottsdale Spa or some time in Palm Springs.